Since there are so many different types of blood cancer, there are many topics left to research and learn about these diseases. One area of concentration includes boosting the patient’s own immune system to fight the blood cancer. If you or someone you know has been diagnosed with a blood cancer, please review our list of current blood cancer clinical trials. Contact us if you are interested in participating. Blood cancers are also known as hematological malignancies. These are cancers that affect the blood, bone marrow and lymph nodes. These three systems are so closely intertwined that often a cancer affecting one of them will affect all of them. 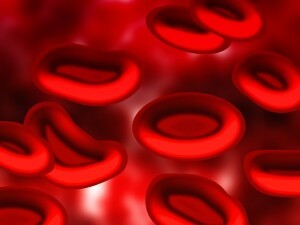 Blood cancers include lymphomas and leukemia. They are classified by whether the malignancy is in the blood or in the lymph nodes. They may also be classified by their cell lineage – either myeloid or lymphoid. Blood cancers are diagnosed by a work up that includes blood cell counts, blood films and biopsies. Blood cancer can occur in very young patients and can spread quickly. You can also check out the CDC’s website for more info. Treatment for blood cancer depends on the classification and severity of the cancer. Blood transfusions can sometimes help by replenishing the body with healthy blood. Aggressive forms of blood cancer treatments include chemotherapy, radiotherapy and immunotherapy. Doctors also sometimes prescribe “growth factors” which are drugs that encourage the growth of healthy blood cells. Patients diagnosed with blood cancer should be careful to not cut themselves. Even small cuts can become infected and lead to a more serious infection. In treating blood cancer doctors often also strive to stimulate the body’s immune system so that it can best fight the cancer cells. Cancer Care at Saint Clare's/Saint Clares Hospital Oncology & Hematology Specialists, P.A.